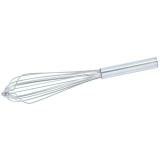 This heavy duty, stainless steel whisk can be used to mix milk replacer for lambs or goat kids or whipping eggs. The thick handle can be gripped firmly to enable rapid mixing of milk replacer. Sturdy metal loops break through semi-soaked milk clumps. 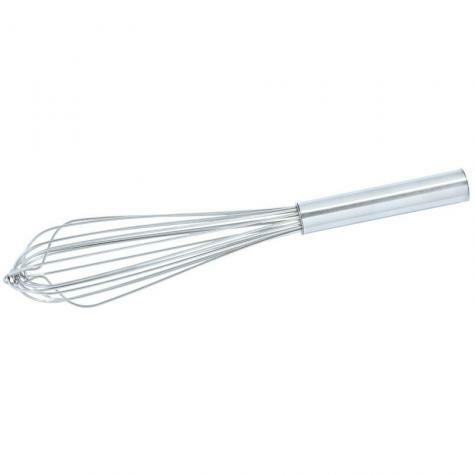 In addition to mixing milk replacer, we've found this whisk to do quite well in the kitchen. 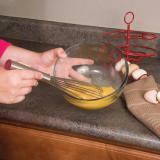 Its strength and weight does an excellent job of whipping a dozen or so eggs for quiches and egg bakes. Unique way to store and display your backyard eggs on your countertop. Take from the bottom, add to the top and you will always be using the oldest eggs. This is the best whisk I have ever owned!! Super heavy-duty whisk for less money than from a kitchen store. Great buy! REALLY impressed with this whisk, especially considering the low price. The department store whisks always seem to rust or fall apart, even when I buy the good ones. This one is MUCH heavier duty that those and cheaper. Plus I love the little pointed edge for getting the corner of buckets or bowls. Best whisk I've every seen. This is by far the sturdiest whisk i have ever found and it cost less than most of the decent(not nearly as sturdy) whisks i have found at the local stores.